This is how I add my hero’s skill. Of course you can add any skills that you like. Sorry if this is too messy for you :X Currently don’t have much time to do all those editting. PS! I am Lv.156 now and at this moment, I think I’ll max Combat mastery to 10 and then Enrage. It’s okay to have 0 skill point on Maple Warrior since other classes might have it. The best way to level up for now is join party quests or hunt bosses. 2- Resurrection of Hoblin King. 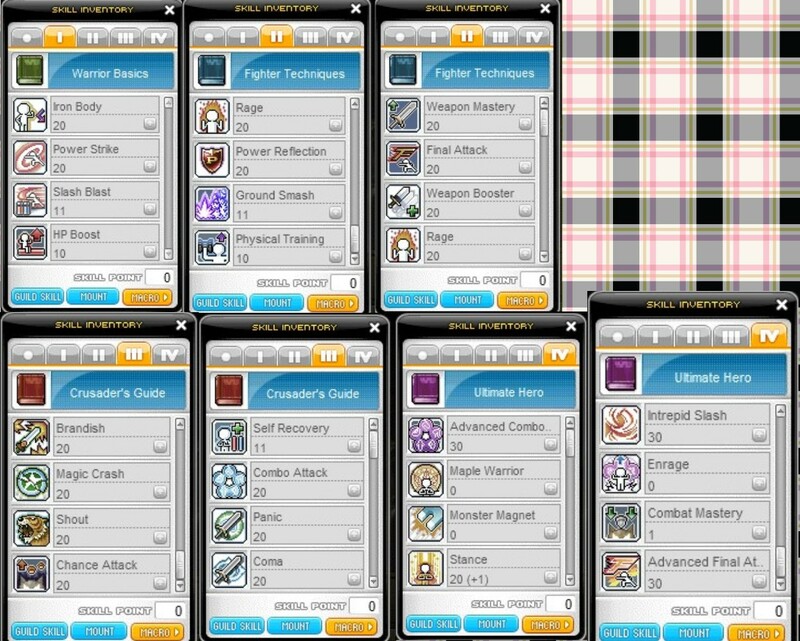 From the party quests,you can also obtain special quest ETC to exchange some awesome equipments.